The service you provided was outstanding, you made us very comfortable and relaxed whilst being very encouraging to get the right photos. It has certainly been a pleasure and we would highly recommend! Who would turn down photographing an Eden Project wedding to have a free holiday in Las Vegas? Not I! 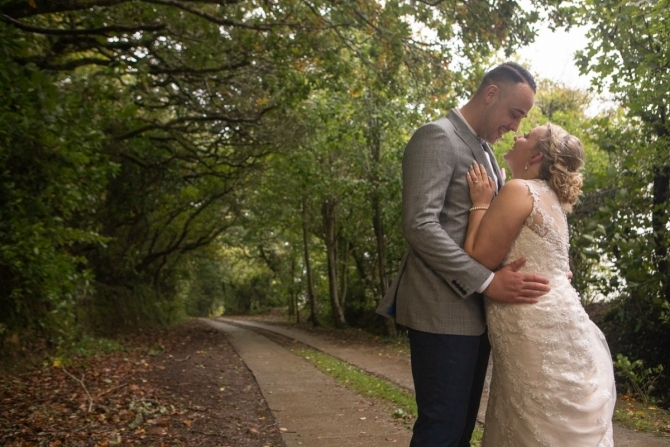 Nicole and Andrew enquired about me photographing their Eden Project wedding after receiving a recommendation, and I'm so glad that they did. I had friends saying why don't you farm it out, and go to Vegas with Tamsyn (my makeup artist wife) on her work trip, and I know of photographers that do do that kind of thing but when someone books Khalile Siddiqui Photography that's exactly who they get. 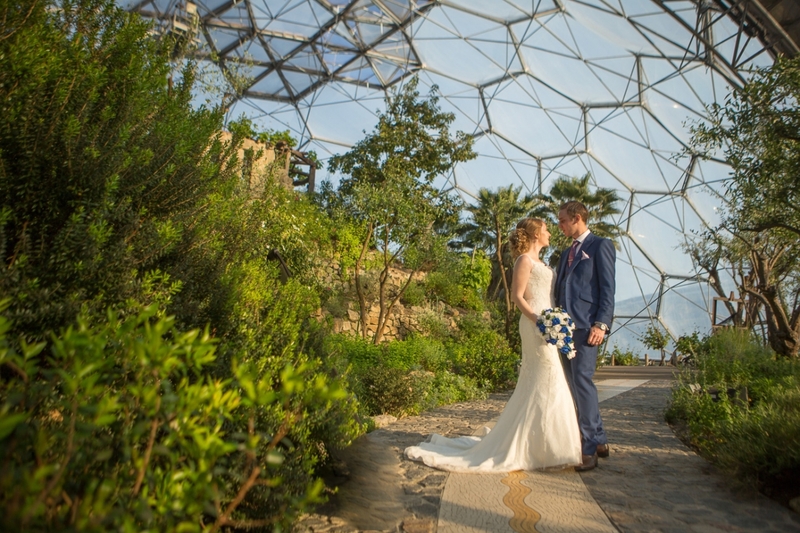 The ceremonies at The Eden Project take place an hour before the park closes, so it wasn't an early start but the momentum picks up after the ceremony so planning is everything with a wedding here. So I proceeded with what photos I could even before Nicole arrived. And we were blessed with a beautiful late spring day with plenty of sun and smiling faces (The sun's always great for that). 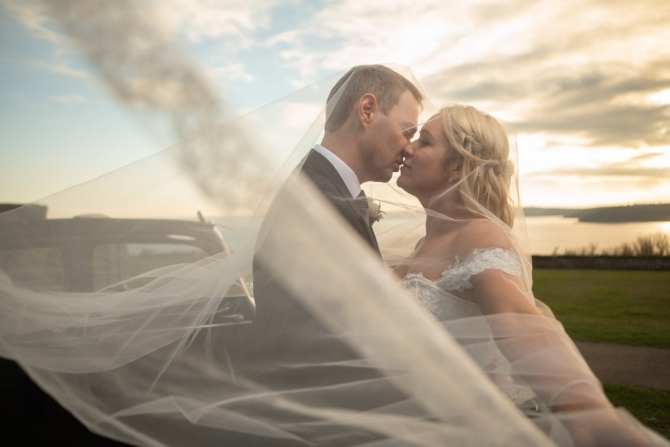 Nicole and her parents arrived in a white modern, classy Jag which was supplied by South West Wedding Car Hire, which was reflected in Nicole's dress choice, modern and classy which was supplied by Wed2Be. The ceremony was truly enchanting, with the birds singing and the scent of the citrus fruit within the Mediterranean Biome. That mixed in with the emotions and the dipping sun, there were more than a few tears. 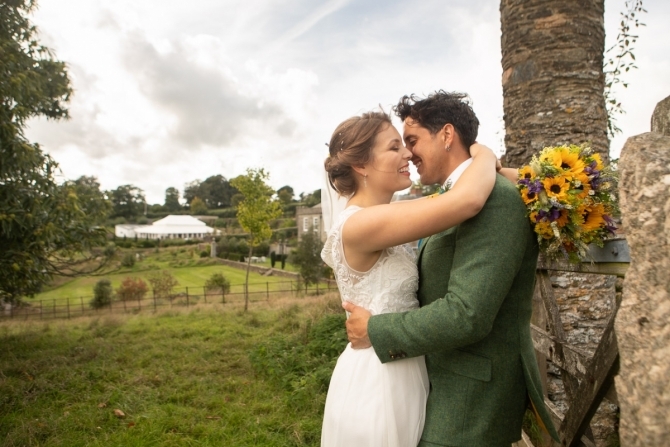 But they were washed away soon after the ceremony by drinks and canapés while we got a few photos around the site, ending up with a cake cutting with a amazing forestland featured cake supplied by Sweet Thoughts.